Jewish Drug Rehab: Does Faith-Based Addiction Treatment Work? Addiction doesn’t discriminate between people of different religions and spiritual leanings. However, there is a common misconception among Jews that people of their faith are immune to substance abuse. This religion teaches that the use of illicit substances is wrong. In fact, drug and alcohol abuse is deeply frowned upon in the community. People who follow Judaism are taught that their body belongs not to them but to God. They are advised to distance themselves from anything that destroys the body and to accustom themselves to whatever heals the body. Yet, even orthodox Jews are not immune to the scourge of addiction. Even though there is an increasing awareness of substance abuse among Jews, the exact prevalence of addiction in people of this faith remains uncertain. Studies have indicated that a sizeable percentage have a family history or know someone who has a problem with alcohol or drugs. For many followers of this faith, the community plays an important role in recovery. Almost 10 percent of Jews state they would consult a rabbi for guidance on overcoming addiction. Alcohol is the most commonly used addictive substance among Jews. Even as the problem grows, there is continued denial in the community that addiction is an issue. This prevents many people from getting help. Read on to learn more about Jewish drug rehabs and how they are helping both mainstream and Orthodox Jews with substance use disorders. What is a Jewish Drug Rehab? The truth is that drug and alcohol use is widespread in the Jewish community. Even conservative followers of the religion are not safe from outside influences. Drugs and alcohol provide an easy way to cope with daily stressors or escape the boredom of a traditional or restrictive lifestyle. Young Jews are attracted to drugs and alcohol due to the glamorous portrayal in the media. There is a pressing need to persuade the Orthodox segment of the community that addiction is a real problem that is preventable and treatable. The link between crime and drug abuse is well known. According to the FBI’s Uniform Crime Reporting Program, Jews, not Muslims, are the biggest target of hate crimes in America. Drug-related offenses include possession and sale of illicit substances, theft to feed a drug habit, and illegal activities in association with other addicts. People with addiction are more likely to commit violent crimes. Many criminal offenses are committed by individuals who used alcohol or drugs prior to the incident or were actively under the influence at the time of the crime. Many Jews battling addiction do not get the support they need. With the growing awareness that addiction is prevalent in people who follow Judaism, there is a demand for faith-based rehab centers that provide education, resources, and support for addiction recovery based on a Jewish lifestyle. The development of treatment programs and rehabilitation facilities tailored to the needs of Orthodox Jews is a step in the right direction. People battling addictions are already having a difficult time with withdrawal symptoms and feelings of loneliness and rejection. The last thing they need is a bias or some form of psychological pressure due to their traditional Jewish values. On the contrary, being with people from the same religious and cultural background can give a recovering addict an immense sense of belonging and connection. Jewish rehabilitation centers treat people of this faith who develop an addiction to drugs or alcohol. Many people with substance use disorders feel isolated and judged by the community. The staff at these facilities is trained to address the shame and guilt experienced by those who succumb to illicit substances. Psychologically, shame and isolation can result in a vicious circle that turns the addict back towards the chemical crutch that substance use offers. Jewish drug rehab centers can help kick the habit with the best therapy for a healthy, happy, drug-free life. The Jewish Center for Addiction is an organization that supports individuals and families in the community through a compassionate approach to the challenges of addiction. Synagogues and other community-based organizations all over the nation are encouraged to open their doors for recovery meetings and provide outreach services, education, and counseling to those affected by substance abuse. The organization’s goal is to educate the community about addiction and debunk the common myths that prevent Jews from getting help. Addiction treatment is particularly effective when it integrates an individual’s heritage, culture, and religious beliefs in the therapy techniques. Jewish drug rehabilitation is a type of faith-based recovery that offers unique services and therapies to Jews seeking help. Though these services are designed to help primarily those with a Jewish background, they can also benefit people of other faiths, especially minority religions, seeking addiction treatment. Jewish rehab programs focus on retraining the addict’s thought process and daily lifestyle so that they make healthier and more productive choices. These addiction recovery programs often combine the widely accepted 12-step theory of drug rehabilitation with additional tenets from the Torah. The structure and organization of a Jewish drug rehabilitation program depend on the provider and the objectives of the specific center. Services can range from detox, individual therapy, group sessions, grief counseling, and workshops for people with coexisting conditions such as anger management issues or relationship problems. In addition, Jewish drug rehabilitation centers offer relapse prevention guidance. The counseling sessions, workshops, and support groups are in tune with the needs of Jews and work in conjunction with the principles of this faith. 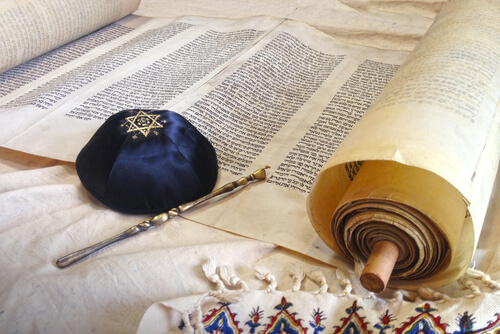 Jewish spiritual traditions offer a structure that encourages and supports recovery and rehab. The religious doctrines of Judaism can be naturally integrated with traditional 12-step programs. Twelve-step programs do not focus on a particular religion and allow members to connect with a higher power of their choosing. Jewish scriptures encourage self-growth in the physical, mental, and spiritual domains of life, which can be nurtured through worship and prayer. The religion encourages families to make efforts to help each other understand and overcome the disease. Inpatient drug rehabs for Jews offer a structured residential environment with a kosher diet. These programs are developed in Jewish traditions and dispel outdated myths to help prevent addiction in the early stages. They provide compassionate services that embrace the tenets of Judaism and are effective in recovery. There are several advantages of seeking addiction treatment at faith-based recovery facilities. Faith-Based Rehab: These centers offer an opportunity for Jews to meet fellow addicts. This gives recovering addicts a sense of belonging and the chance to form deep connections. Drug rehabs for Jews attract people from the same background and suffering from similar problems. Residents at inpatient Jewish rehabs work with guidance counselors who use the teachings of the faith to give a sense of solidarity. In addition to the traditional detox, these programs offer counseling sessions based on religious philosophy as well as therapies that target the unique needs of addicts who follow this faith. Followup Care: Jewish rehabilitation facilities focus not only on a person’s addiction, but on the entire framework of self-worth, faith, spirituality, and identity which contribute to the individual’s overall sense of wellbeing. Treatment is carefully monitored and aftercare services are provided to prevent relapse. Graduates of Jewish rehabs are encouraged to attend followup meetings as they begin their journey in the real world outside the recovery facility. Integration of Spirituality and Medical Treatment: In addition to the religious aspects of treatment, comprehensive Jewish rehab programs offer medical detox, individual and group therapy, research-based behavioral therapies, treatment for co-occurring mental health issues, relationship counseling, experiential therapies, and relapse prevention programs. These facilities achieve their mission of helping addicts get clean by instilling a renewed faith in religion. They encourage a greater conviction in the Jewish faith and life lessons and teachings that apply to rehabilitation. This integration of faith and evidence-based therapy has a positive effect on many recovering addicts who follow Judaism. Those who do not have a Jewish background are also welcomed into the programs and benefit from the faith-based teachings along with standard addiction protocols. Sponsorship and Networking: After an individual completes a recovery program successfully, they are encouraged to work with outreach specialists and sponsors as well as fellow recovering addicts for a strong sense of identification with the Jewish faith. Community activities make it easier to stay in touch with people associated with recovery. The National Alcoholism and Substance Abuse Information Center (NASAIC) sponsors Jewish rehab facilities and ensures they provide quality services, maintain accurate records, and offer a well-structured network. The Chabad Residential Treatment Center is a leading Jewish rehabilitation facility in Los Angeles, California. It was founded in 1972 and specializes in the recovery and wellness of Jewish men above the age of 18. The techniques and approaches used in Chabad rehab have been developed based on the strategies of the National Institute on Drug Abuse in Washington D.C. Treatment is offered to men from varying backgrounds. Chabad has maintained a higher success rate compared to the national average and has produced thousands of successful graduates over the years. The goal at a Chabad treatment center is to ensure long-term success through a distinctively faith-based approach. The program integrates standard therapeutic approaches with religious teachings for spiritual growth during addiction treatment. What is unique about the Chabad rehabilitation addiction center is that it focuses on getting to know a patient individually. The counseling program is customized. Treatment regimens are modified based on to the behavioral and spiritual needs of each addict. Recovering addicts participate in daily prayers, teachings of the Torah, and study groups. The center serves kosher meals and also offers vocational training and relapse education. 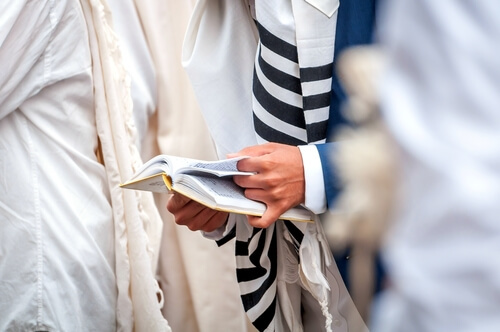 Kosher Sobriety in South Florida offers intensive inpatient and outpatient recovery programs through a number of faith-based approaches and holistic therapies. Beit T’Shuvah in Los Angeles is a facility for adults with alcohol, drug, or gambling problems. This residential program offers a variety of recreational activities such as yoga, choir, organic gardening, surfing, and theater arts along with Judaism ethics. Day programs and transitional off-campus living are also available. Retorno is a private rehab program for Jews located in Israel. It offers Torah study, counseling, equine therapy, and 12-step support for teens and adults. Torah and the Twelve Steps is a non-medical addiction recovery program. Members live in structured housing and have access to Torah mentoring, group counseling, interactive classes, and physical education. Jewish Community Services in Maryland provides outpatient addiction recovery through individual and group counseling. The program also offers educational sessions on the dangers of addiction. The Associated is a Baltimore-based philanthropic organization for Jews that offers outpatient addiction services primarily through counseling. Jewish Family Service in Seattle assigns caseworkers to recovering addicts and offers financial assistance and emergency housing as well as referrals and counseling. Evolutions Treatment Center in Fort Lauderdale, Florida, offers counseling for people of the Jewish faith as well as access to kosher housing, social support, and spiritual guidance. Chabad Lifeline is a Montreal based addiction treatment organization that provides one-on-one personalized care on an outpatient basis through a team of case managers. New Life Addiction Treatment Center in South Florida is tailored to Jews and offers a number of therapies as well as access to a rabbi and spiritual counselors. Jewish Family Service of San Diego has qualified counselors who offer behavioral therapy for addiction and mental health issues. If you or someone you love could benefit from Jewish drug rehab, call our free helpline (888)-459-5511 for more information on finding help for substance abuse. Advisors are available to answer your questions, give you more information on addiction recovery for Jews, and direct you towards the resources you need for a drug-free life. Calls are always confidential and secure.